PAINT IT BLACK. ONLY ? Ny Carlsberg Glyptotek is a jewel amongst Danish museums. It has one of the best private art collections in the world. Amongst the material is a fantastic collection of sculpture from the antique world. The place itself is a fantastic blend of modern and antique style - jugenstil, steel construction and a great home for the exhibits. Despite the fact it was paid for by a super-rich family who blackmailed the government to build the place to house their art collecting hobby which had nearly bankrupted the brewery, the Jacobsens had good advice on what to buy and the money to buy it. 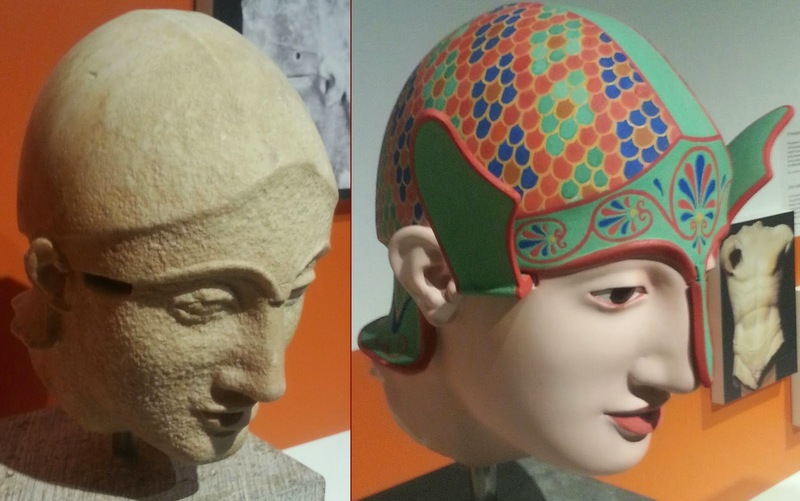 Right now there is an exhibition dealing with polychromy in ancient art. New technologies allow colouring which has vanished to the naked eye to be revealed. And the connection with ships ? I will write a piece with more details but generally, in relation to ships, what this exhibition means is that the possibility that ancient galleys were colourfully painted is high. and this is likely due to the tarred hulls of any wooden ship. But the topsides and any ornament could just as well be decorated with more than tarring and even on vases we see geometric patterns. A few examples from the exhibition. You thought hoplites went into battle with gleaming bronze armour ? Think again. 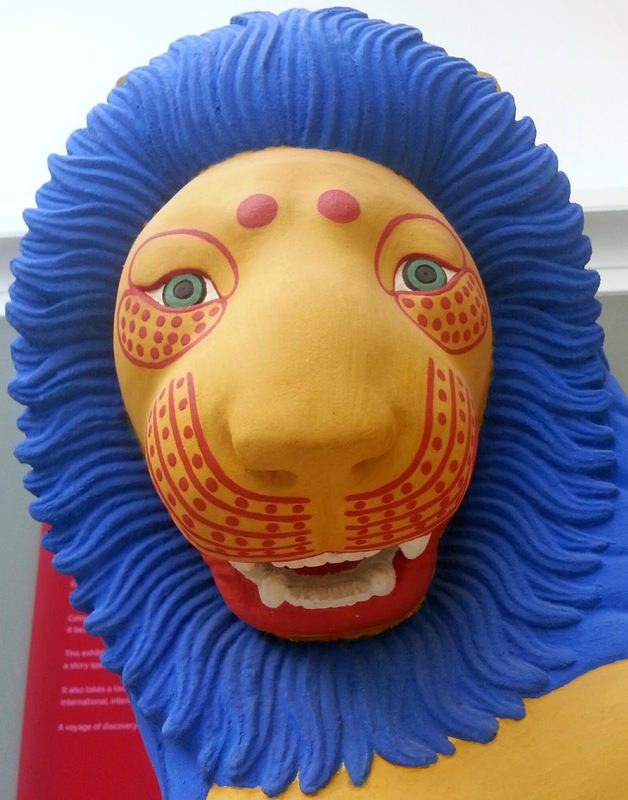 The proud lions of Mycenae and Chæronea may have looked more like Dougal on acid. There is a wealth of pattern and colour combinations that could equally well have been used on ships.